So, unlike Goldilocks, I don’t really worry about whether things are too big or too small. I always presume I can do something to make them “just right”. A helpful attitude when I’m shopping somewhere without size options for each style – like Goodwill (not sure if she ever shopped there, but you get my point). Of course, this does have the disadvantage that I don’t walk away from things with my purse still zipped up and money intact, but, hey, it’s for a good cause, right? 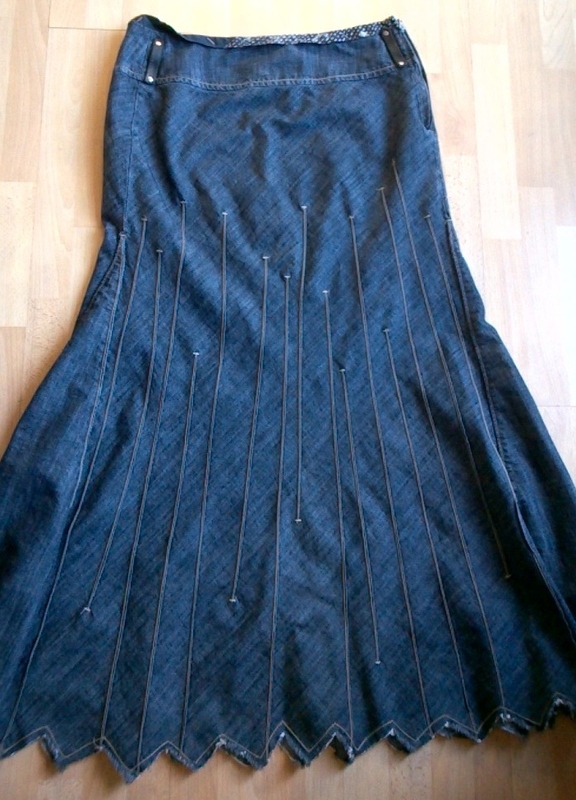 So, a couple of weeks ago, I found this denim skirt at Goodwill – great stitch detail and funky hemline. However, I knew it was at least 2 sizes too small. Undeterred, I whipped out $5.00 and bought it. 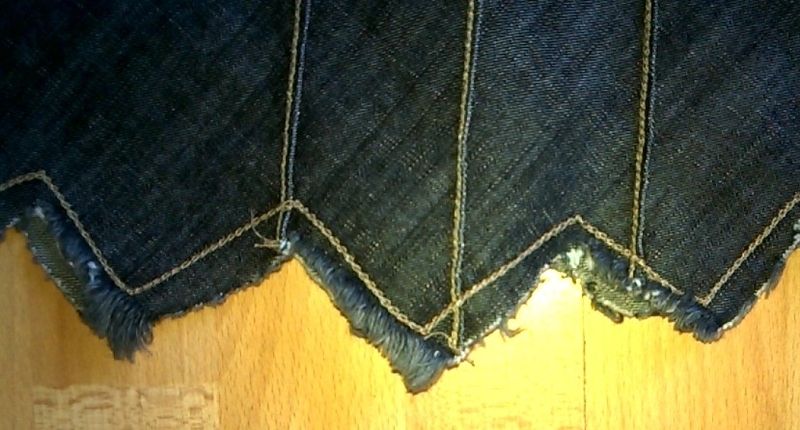 It was really long, so I figured I could cut off the WAY too tight section and use the hip area for my waist. I was intending piecing together a new waistband, but took the easy way out (elastic). One good thing about aging and getting less shapely (please tell me there’s not just one), means there’s not such a big difference between my waist and hips as there used to be. 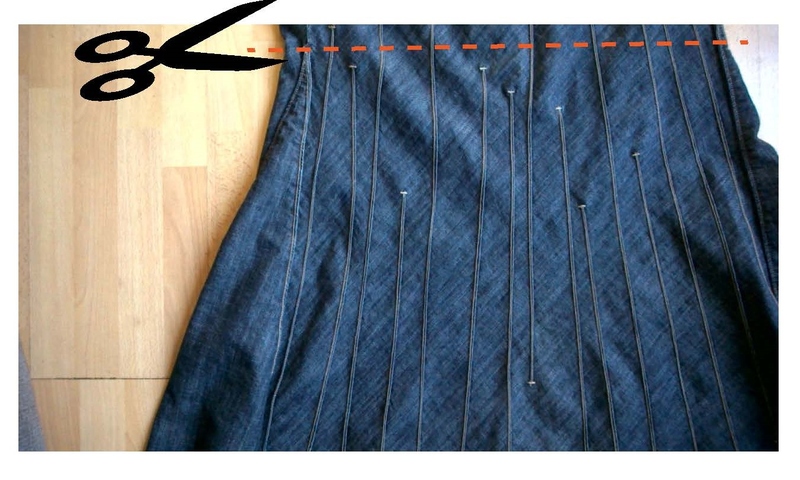 This worked in my favour – there’s not a lot of excess fabric gathered at my waist, it’s fairly flat, but I can still pull it on over my hips. 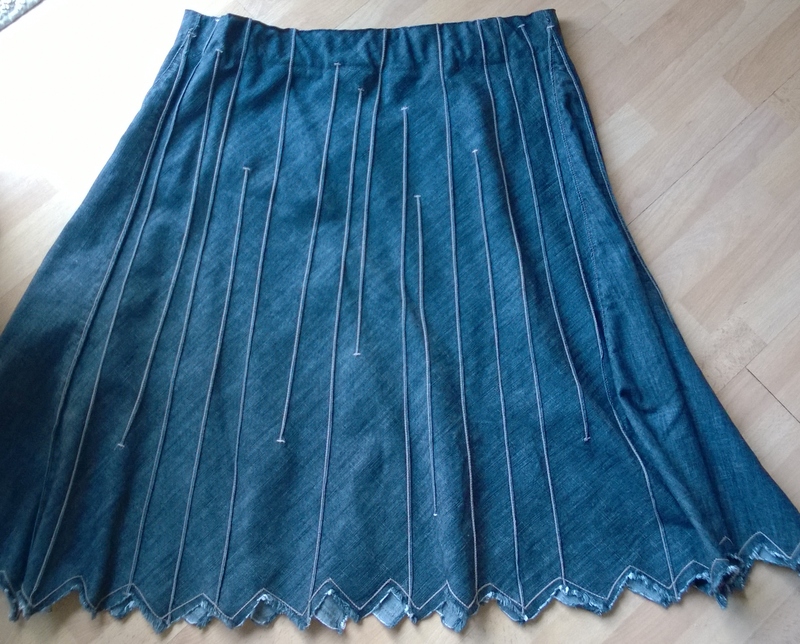 Have a few more thrift store goodies to work on in the next couple of weeks – a very large pair of pants which I want to make into a skirt, and 2 unusual skirts that are too small, but could work somehow with some extra panels! Posted in Uncategorized and tagged denim skirt, too big or too small. Bookmark the permalink.